Click Here for a Broadband Speed Test. Satcoms UK has tried a number of online speed tests and this one seems to be the best and most reliable so far. Broadband Speed Test. This is on a different website. It is recommended to register to save your results but you dont have to. 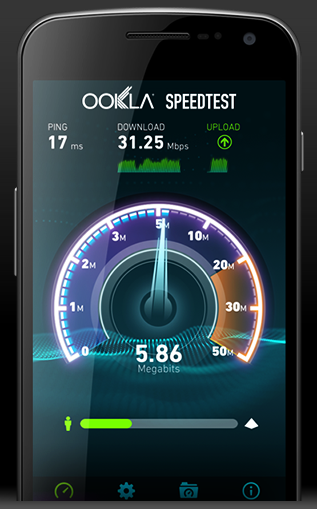 Click Here to visit www.ookla.com and download a mobile app to test your broadband. We are not affiliated with OOkla but have found this to be a useful app.